AMERICAN football teenager Raspreet Sandhu has proven President Donald Trump right: It’s “America first”. In his inauguration speech in January, the controversial US President used the phrase “America first” to describe his approach to governance. And historically, politicians and activists have used the idea of putting America first to advocate for policies ranging from strict immigration to foreign policy isolationism. 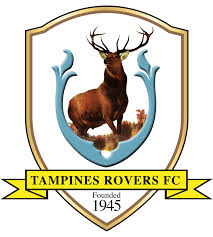 And now somewhere along the classy corridors of the White House, Trump may well be giving the thumbs-up if he reads this: Raspreet Sandhu has become the first US-born lad to sign for four-times S-League champions Tampines Rovers. He will be pleased to know that this 23-year-old lad from Sonoma State University in California gets to be first to play for Tampines Rovers in the Asian Football Confederation (AFC) Cup. 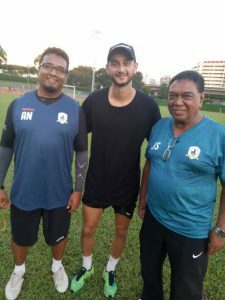 It’s been tough-going in the pre-season trials for Raspreet, whose father Kalwant also played for Tampines Rovers in the mid-1970s. But Raspreet is ball and brain as he’s a Bachelor of Arts (BA) history graduate from the university, located about 40 miles north of San Francisco, and he played three years for the renowned Sea Wolves. For the moment, he has yet to showcase his abilities in the 22-year-old S-League as he cannot be registered after the Stags (Tampines Rovers’ nickname) maximised their league foreign quota with Japanese winger Ryutaro Megumi, Croatian forward Ivan Dzoni and 25-year-old South Korean Son Yong Chan. 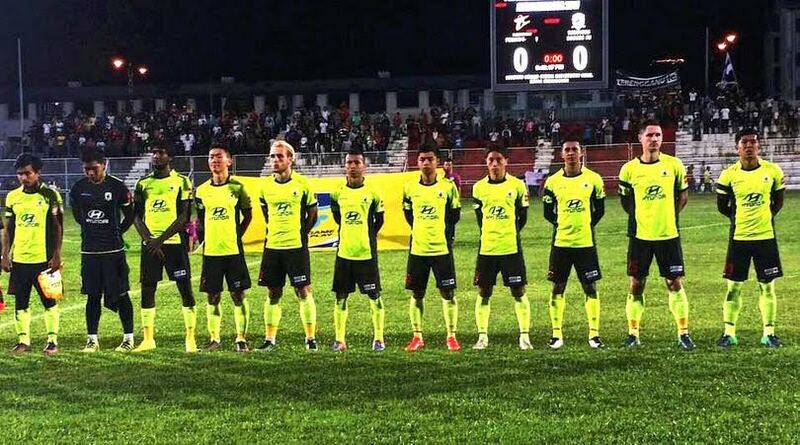 The AFC Cup, on the other hand, allows up to four foreign players to be on the pitch at any one time and this will give new German coach Jurgen Raab more depth, as the AFC Cup and S.League kick-off on the same week. Tampines’ President Krishna Ramachandra says: “Raspreet has got the big break for the AFC Cup. That’s a massive start for a 23-year-old. But we will hold on to him for the S-League season and (coach) Raab may use him if one of the three foreign professionals don’t perform up to expectations. 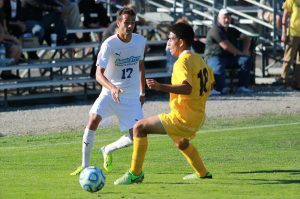 News of Raspreet’s Singapore signing may not have hit the roof at the White House but in California, his head coach at Sonoma State University, Marcus Ziemer, had glowing words: “Raspreet is an excellent player. Not only is he quick and agile, but his ball skills are outstanding. He is crafty on the dribble and also has excellent vision and can break teams down with his passing. “He is tough to mark out of a game and is very competitive and hates to lose. Raspreet has an excellent shot with both feet and scored some big goals for us. Working very hard, he has always been one of the first on the training ground and the last to leave. Let me reiterate that all of his hard work has finally paid off”. 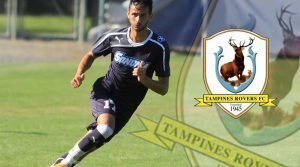 Tampines Rovers General Manager Desmund Khusnin, adds: “Raspreet joining TRFC is a bit of a historic moment as Kal Sandhu, his father, used to play for Tampines Rovers and this is great for football in Singapore as it evidences the passion for football that runs through generations. Raspreet joins us on our AFC campaign. He has impressed us in trials and we hope he ends up having a long future with us”. Director of Football Excellence at Tampines Rovers, Jita Singh, forewarns of Raspreet’s longer-term potential: “I will not pull any punches but I will go on record to say that Raspreet would be starting on the Singapore national team if he was a citizen. He has great attitude and disposition”. The award-winning Jita can spot true talent from hundreds of miles away as he was the first Sikh footballer to play for Singapore in the early 1970s, at 22 years, and donned Singapore colours during the first and only three-weeks overseas playing tour in England in 1972. He later went on to be the youngest Singapore coach to win the Malaysia Cup in 1981 and the Singapore National Olympic Council (SNOC) decorated him with the 1983 ‘Coach of the Year’ award. Dad Kalwant and mum, Pam, were reduced to tears after the Tampines’ announcement. Kalwant, who played with me in the 1974 hockey tour to India with Singapore Juniors, admitted confidentially to me that “my son is 1,000 times better than me, football-wise”. Kalwant, 61, a well-known businessman in Mountain View, California, who even ran for the race to be a suburb mayor a few years ago, says the professional baptism at Tampines Rovers is a “blessing in disguise”. From 1977 to 1979, he turned out for Tampines Rovers in local top-flight football before he left for his studies. Among some of the more illustrious names he played with were former internationals Quah Kim Song, R. Suriamurthi and Edmund Wee. Kalwant received his US citizenship in 2001 and the Sandhu family now resides in Santa Clara County called Mountain View, where he is also vice-chairman of the city’s Human Relations Commission. He also holds a National Diploma from the National Soccer Coaches of America Association. I watched Raspreet in his early days in January for the Tampines Rovers’ trials, and I knew he had a mountain to climb with a legendary club. But, believe me, I sensed he could overturn the odds simply because he’s got what it takes: A real heart of steel, a big head to succeed (without a turban!) and a steady pair of sure-footed football feet. When he first arrived here, Raspreet told me: “Tampines Rovers is the biggest name club in Singapore and I want to prove my worth to be considered for selection. My father believes in me and I must have confidence in my playing skills to make it as a football professional. 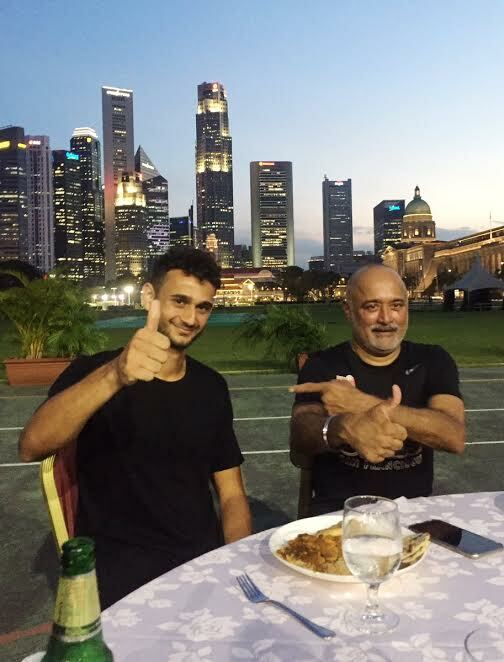 Chairman Ramachandra believes that Donald Trump’s philosophy of “America first” may well have inspired Raspreet to reach out the S-League record books as the first American professional teenager footballer. Even in Malaysia, Sikh-names like Santokh Singh and Shebby Singh have significantly hogged the football headlines from the 1970s. Both turbanless Sikhs went on to be skippers of the Harimaus (nickname of Malaysian national team) in their respective positions as rear-guard sweepers of Asian-class standards. 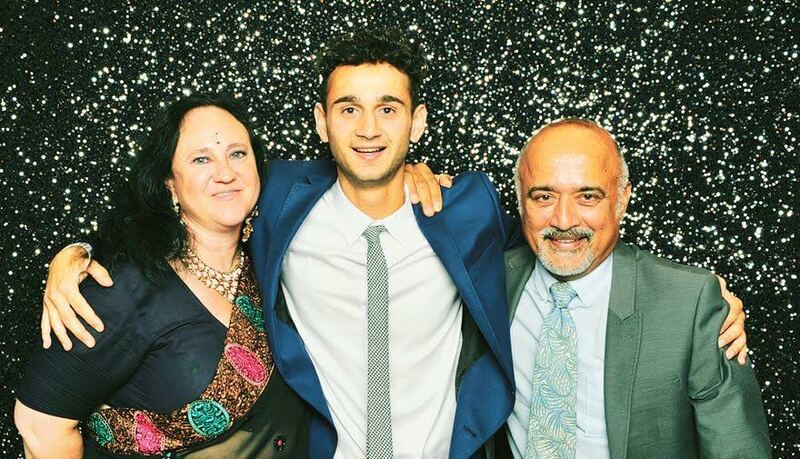 Now only time will tell if Raspreet, who started with the America Youth Soccer Organization League when he was five years, can rewrite the books and, in the process, make (dad) Kalwant really proud as the first American-Sikh to break new professional grounds in Singapore. Hey, President Donald Trump, you may start blowing your trumpet again on another “America first” heroic in a little red-dot of an US-ally island in Asean, where football is still the No 1 sport. Suresh Nair is a Singapore-based journalist who was one of the founder-committee members of Tampines Rovers when the S-League was launched in 1996. Raspreet’s father, Kalwant, was his hockey-playing mate in the mid-1970s when they played for Singapore.